Our south-west side apartment with balcony on the 1. floor offers room for 2-4 persons. 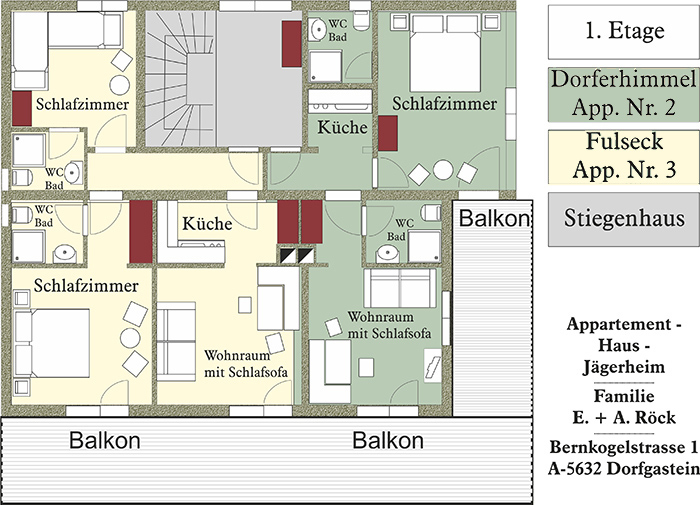 It has a bed room, separate living-room with studio couch, cable-TV, WLAN, 2 bathrooms with shower, WC and hairdryer. The kitchenette is equipped with fridge, hotplates, dish-washer, coffee machine, microwave and kettle.